Extreme Snowfall Reports: How Reliable Are They? Above: A neighborhood in Erie, Pennsylvania, is buried in snow on Dec. 26, 2017, after a lake-effect snowstorm dumped enough to shatter not only city records, but also at least one all-time Pennsylvania snowstorm record. Image credit: Twitter/@ChattyKathy715, via weather.com. December 2017 featured two extraordinary snow events. 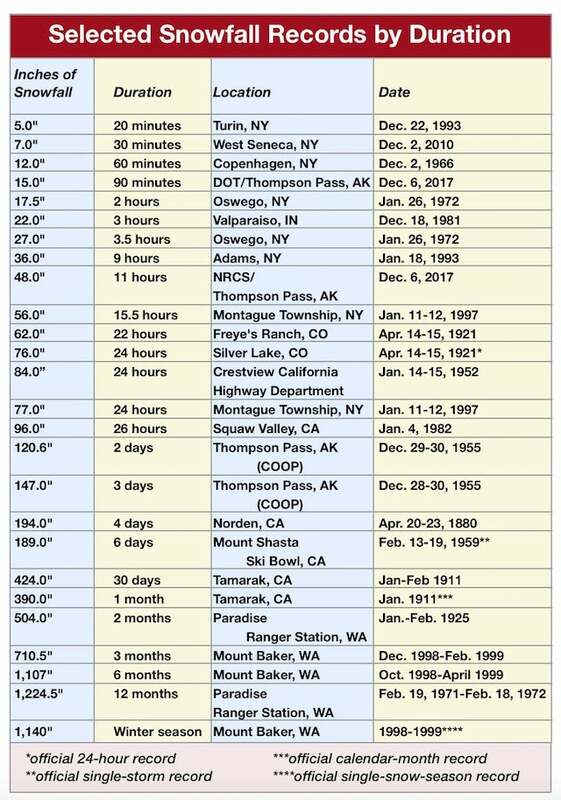 The first was at Thompson Pass, Alaska, where a phenomenal 15” of snow apparently accumulated in just a 90-minute period on December 6. The second event was an unprecedented lake-effect snowstorm in Erie, Pennsylvania, that buried the city under 65.1” that accumulated during a 72-hour period on December 24-27. Over the years I have attempted to determine what the greatest snowfall totals for select periods of time have been for locations in the U.S. and around the world. Interestingly, the U.S., Canada, and Japan are the only countries on Earth that regularly maintain detailed snowfall statistics. In Europe and elsewhere, only liquid water (the melted component of frozen precipitation) is measured; actual snowfall accumulations are rarely reported outside of specialized locations such as research stations. In the U.S., official National Weather Service sites follow strict criteria in the measurement of snowfall accumulations. This normally employs a snowboard and measuring stick, with measurements made once every six hours. Observers in the NWS Cooperative Observer Program (COOP) usually make only one snow measurement every 24 hours, as is also the case for the nationwide CoCoRaHS program (Community Collaborative Rain, Hail, and Snow Network). 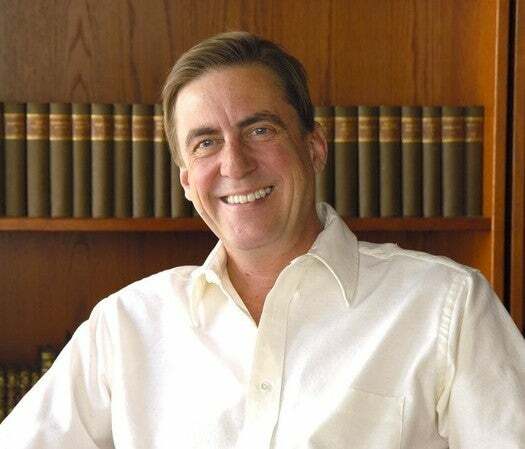 The difficulty in "accurately" measuring snowfall is well explained by Deke Arndt, the person in charge of NOAA’s national extreme weather records database. Another good take on the issue (and an explanation of how official snow measurements are made) was written by UCAR’s Matt Kelsch, who has been measuring snowfall as a NWS COOP in Boulder, Colorado for over 25 years. “Thompson Pass DOT has not been an NWS cooperative station in more than 40 years, though DOT has been recording snowfall observations there ever since. There is a maintenance station near the top of the pass, so the 15" in 90 minutes could have been reported by someone in the station, and that would be my guess, but I don't know for sure. TP is a very difficult place to measure snow because of the wind (and it's above treeline), and so drifting around buildings at the camp is always a concern. That said, I do know that the foreman at the TP DOT camp is quite conscientious about snowfall. In fact, the NRCS SNOWTEL figure of 18” in 3 hours and 48” in 11 hours would both rank among the most intense snowfall rates ever reported. Also of note is that the COOP site in the city of Valdez measured 3.96” of melted precipitation (a mix of snow and rain) on this same day. During the entire period from 1917 to 2015, only six other days produced this much liquid water in Valdez. Figure 1. Valdez, Alaska, is the snowiest town in America, with a seasonal snowfall average of 326.3” (based on the 1981-2010 climatological period of record). The Richardson Highway (with Thompson Pass) bisects the mountain range visible in the background. Photo courtesy Don Pitcher. Below is a list of various extreme snowfall reports I have gathered from various sources over the years. Note how all of the shorter-duration reports (aside from the recent Alaskan event) are a result of lake-effect snowstorms on the Great Lakes. This doesn’t mean, of course, that intense short-duration U.S. snowfalls occur only in this region. I’m sure that similar snowfall rates have been attained during major winter storms in the Sierra Nevada or other mountain areas in Oregon or Washington. It’s just that, to the best of my knowledge, no one has yet to report about such. Figure 2. Record U.S. snowfalls for various periods of time from official and unofficial sources. 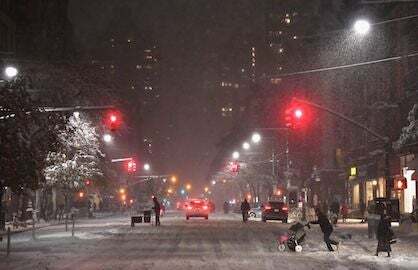 The National Weather Service does not keep track (officially) of short-duration snowfalls for less than 24-hour periods of time. As a matter of interest, I included a couple of unofficial 24-hour snowfalls that were greater than the official measurement for such from Silver Lake, Colorado. I also included an unofficial “single-storm” record of 194” that was measured at the rail depot of Norden near Donner Summit in the Sierra Nevada on April 20-23, 1880. This same storm produced Sacramento’s all-time 24-hour precipitation record of 7.24” on April 20-21, 1880, thus lending credibility to the Norden figure. As noted, most of the snow events in this list are from unofficial sources that includes measurements made by various state Department of Transportation authorities, snow spotters, university science departments (as was the case for the Oswego, NY measurements), and, of course, reports sent into NWS offices from the general public. Ironically, these "unofficial" reports are sometimes more accurate in terms of just how much snow is on the ground than official NWS snowfall reports, since the NWS makes measurements every six hours, then clears the snowboard, continues with a new six-hour measurement, and adds up the four daily measurements to come up with a calendar day total. This means that the actual ground depth of the snow is likely to be considerably less than the measured amount due to compaction or melting over the course of a snow event. The recent Christmas storm in Erie is a good example of the issue of snowfall versus snow depth. Although 65.1” of snow was officially measured at the airport between 8 p.m. EST Dec. 24 and 8 p.m. Dec. 27, and the temperature remained well below freezing during the entire 3-day period (thus melting was not an issue), the maximum snow depth observed was “only” 28” on the morning of December 26. The snow was so ‘fluffy’ that it easily compacted on the ground over the days of accumulation. One of the reasons that the 24-hour snowfall of 77” reported from Montague Township in January 1997 (see table above) was not considered a new national 24-hour snowfall record (which remains a 76” 24-hour snowfall at Silver Lake, Colorado in 1921) was that the observer made five measurements instead of the standard four on his snowboard over the course of 24 hours. If one measures the snowfall too often (clearing the snowboard after each measurement) it will inflate the amount measured. In Silver Lake, Colorado, the 76” snowfall of April 1921 was calculated simply by the increase in the depth of the snow on the ground over a 24-hour period, not by actually measuring the amount that fell. The maximum increase in the depth of the snow on the ground in Montague during its 77” fall was just 51”. If the observer in Silver Lake had been using a snowboard and making measurements every 6 hours, it is likely the actual 24-hour snowfall would have been over 100”. Figure 3. This photograph was taken during the remarkable snowstorm (of lake effect origin) that buried Montague Township on New York’s Tug Hill Plateau during January 1997. The observer measured a total 77” accumulation in 24 hours on January 11-12, which was considered a possible new national record. 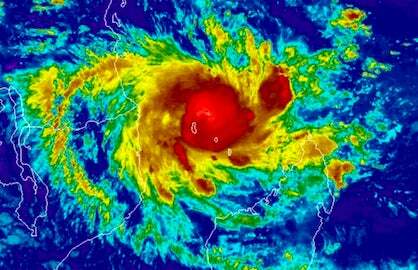 However, the record was disallowed by a special NWS investigative committee when it was determined that the observer made five measurements over the course of the 24 hours instead of the four allowed. Photo courtesy of Cheryl Boughton. There is something a bit peculiar about the recent snowfall vs. snow depth measurements in Erie. During the last week of December, the snowfall totaled 84.3” (which is what the annual seasonal snowfall for the site normally is!) and the temperature ranged between 8° and 19° on every day aside from Dec. 25, when a 30° reading was achieved. 34.0” fell on the 25th, and the 7 a.m. Dec. 26th ground measurement was 28”. On Dec. 26, a further 26.5” fell, and yet the ground measurement on the morning of the 27th had declined to just 23”! It is hard to believe that the snow compacted to such an extent. Erie’s previous snowiest month (any month) on record was that of December 1989, when 66.9” accumulated (yes, last December’s 121.3” total was almost double the previous record! ), and a record ground depth of 39.0” was measured on December 20, 1989. How is it possible that 85” of snow in a single week with very cold temperatures could only manage a maximum ground accumulation of just 28”? Figure 4. Preliminary climate data for Erie, Pennsylvania during the month of December 2017. Note the incongruity of the daily snowfall amounts versus the daily snow depth amounts. 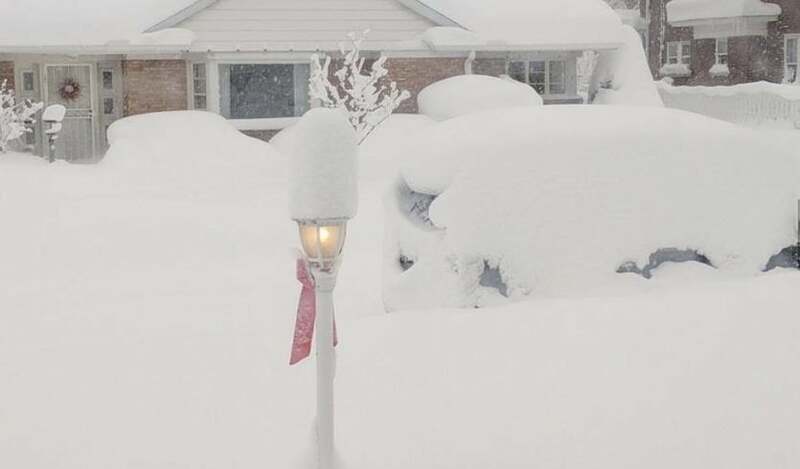 Some extreme snowfall reports from outside the U.S. The Japanese Alps and northern mountain ranges on Honshu Island are among the snowiest places on the planet (if not THE snowiest places). In fact, the single snowiest site with official observations on Earth (according to Japan Meteorological Agency data) is Sukayu Onsen, Aomori Prefecture in northern Honshu Island where, for the period of record (POR) of 1981-2010, the average seasonal snowfall was 694.5” (1764 cm), besting any site in North America. See the climate table for this site below. Figure 5. Climate table for Sukayu Onsen (a hot-spring resort) on northern Honshu Island, Japan. Note the average annual snowfall of 694.5”. The snowiest site in North America (with official observations) is Rainier Paradise Ranger Station in Washington State, where the 1981-2010 POR average annual snowfall was 670.8”. 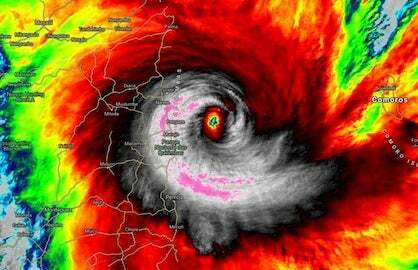 Image source: Japan Meteorological Agency. Oshirakawa Station averaged 1950 cm/767.7" of seasonal snowfall during the POR of 1969-1998. The snowiest single season was that of 1980-1981 when 3317 cm/1305.9" accumulated, including an amazing 1546 cm/608.7" in the month of January 1981 alone! This is far greater than the U.S. monthly record of 390” set at Tamarak, California in January 1911. The greatest 24-hour snowfall and snow depth ever measured on earth may have occurred in February 1927, when 230 cm/90.6” fell at Mt. Ibuki, Shiga Prefecture on February 14, 1927. This storm brought the snow depth at the site to a world-record 1182 cm/465.4”. These statistics, however, are not from Japan’s official weather agency (JMA). 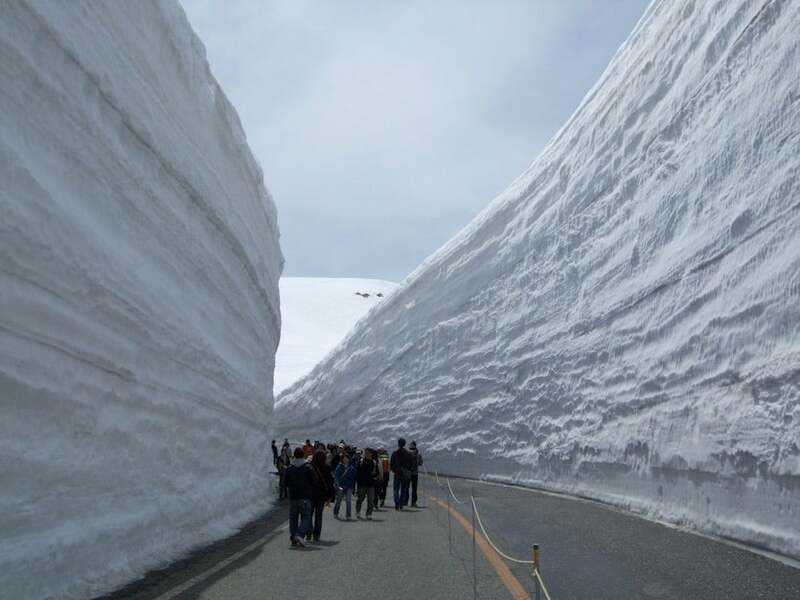 The official 24-hour record snowfall for Japan is 173cm/68.2” at Tsukayama, Nigata Prefecture on December 30-31, 1960. Figure 6. The famous Yuki-no-Otani snow canyon along the Tateyama Kurobe Alpine Route that connects the Japanese municipalities of Tateyama and Omachi and traverses the Japanese Alps on Honshu Island. Photographer not identified. In Europe there are a few reports (mostly unofficial) of incredible snowfall rates, including 70.9” (180 cm) falling in just 15 hours at Dartmoor, Great Britain on February 16, 1929 and 67.8” (172 cm) in 19 hours at Bessans, France, an alpine ski resort, on April 5-6, 1959. Canada’s official 24-hour snowfall record stands at 57.1” (145 cm) at Tahtsa Lake, British Columbia on February 11, 1999. The country’s seasonal snowfall record is (so far as I know) 963.2” (2447 cm) at Revelstoke Mountain, British Columbia during the winter of 1971-1972. KUDOS: Thanks to Rick Thoman for the Thompson Pass, Alaska information and Yusuke Uemura for the Japanese snowfall statistics.